Chelsea are reportedly ready to spend as much as £115million to sign Callum Wilson and Nathan Ake in a double transfer raid on Bournemouth. The Blues could do with strengthening in both defence and attack this January and seem prepared to splash out in this stunning raid on the Cherries. Ake has been linked with Manchester United after his fine form but a £40m return to his old club Chelsea now reportedly looks the most likely. On top of that, the Daily Star link Wilson with CFC as a deal for Gonzalo Higuain falls through, but he has an asking price of £75m. Wilson has also been linked with Tottenham after his fine form in the Premier League, and despite him not being the biggest name, he’s surely an upgrade on Alvaro Morata and Olivier Giroud. 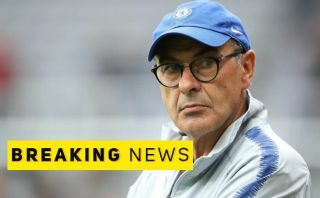 Maurizio Sarri has hinted in recent times that he needs signings this winter, and it seems the Chelsea board are ready to deliver.